WOW – what a weekend. An invasion of zany Liverpudlians descends on the County Borough. The Purps had landed at Penydarren Park and brought with them their infectious brand of fanatical support. Fair play it was extremely impressive for a Club at Step 5 of non-league football to travel that far, in considerable numbers for a weekend in South Wales. But it was the Supporters Direct Shield that had brought the two clubs together and everyone who failed to attend the game missed a truly unique experience. The Purps fans were noisy and just happy to be here. Anyone who adores eating raw cake mixture (only that which is freshly made by your Mum), will understand what this was like. The atmosphere in the bars and around the ground was festival like and the football was good. It all started on the Friday evening with Liverpool legend Jimmy Case spending the evening in the Red Flag Bar. 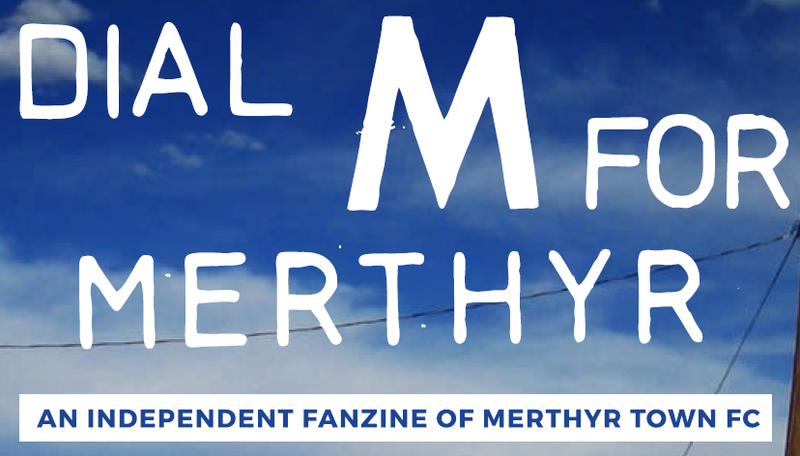 Then the following morning a handful of intrepid Martyrs fans walked the thirteen miles from Talybont to the ground to celebrate the anniversary of the birth of the Trust. It concluded with the fans of both Club’s enjoying a really remarkable day. The genesis of the City of Liverpool FC can be traced back to 2009 when big-brother Liverpool were under the worrisome stewardship of Tom Hicks and George Gillett. At the time, a new non-League club, AFC Liverpool, were created as an alternative to visiting Anfield, marketing themselves as Liverpool FC’s “baby brother” rather than a protest movement. Paul Manning, who was briefly involved with the AFC project, later realised that Liverpool lacked a football club for the whole of the city, one that was independent, community-focused and unaligned to the red or blue halves of Merseyside. So in 2015, Manning, along with a like-minded committee, launched the supporter-owned City of Liverpool Football Club (COLFC) with the ambitious and unprecedented aim of playing within the city boundaries. COLFC have averaged vocal gates of 440, a figure that would not look out of place a few levels higher. Moreover, they have quickly become the best-supported semi-professional team in Merseyside. Inevitably, jealousy has been seen from existing clubs, claiming more competition will simply dilute the supporter pool. However, as Manning points out, the clubs in question represent specific districts with localised appeal. “We felt that someone from Toxteth may not feel inclined to travel to Crosby to support Marine, but may travel somewhere centrally to support a citywide club,” he told the website ‘This Is Anfield’ in 2015. Quite why COLFC have proved so popular in such a short space of time is a little more complex. From a marketing perspective, the club ensure healthy visibility through slick social media, online shop and official podcast. Everything is designed in purple, the civic colour of Liverpool, to encourage a sense of local identity and reflect a merging of red and blue in an embracing statement of neutrality. As for the burgeoning supporter base that we witnessed at Penydarren Park, there are assorted reasons for attending. “I appreciate being treated like an adult. You are trusted to drink in the stands without being demonised and allowed to move freely without constant monitoring from stewards,” said one passionate Purple’s supporter. Others are drawn to the accessibility and affordability of COLFC and the absence of Byzantine ticketing arrangements. And there are those who simply like the idea of watching a second team that represents the city and its egalitarian culture. Mike D and myself spoke at length to a few of their supporters in the bar prior to kick off. They were both impressed with our facilities and Mike was a particularly proud Martyr to show off the photograph of Andy Beattie and Glen Stromberg prior to kick off in the Atalanta game. The game itself ended in a 4-2 win for the Martyrs but it was the supporters and the camaraderie that were the winners on the day. In February 2018 the club were granted a period of exclusivity on a site in Fazakerley, on the boundary between Liverpool and Knowsley, by Liverpool City Council (the owners of the site). The site at Fazakerley Playing Fields is in a state of disrepair, but the club believes that it can build a 3,000 capacity Community Stadium on the site. I’m sure that many of our fans will be following their progress with interest. Who knows we may be invited to open the new stadium? Now wouldn’t that be something!